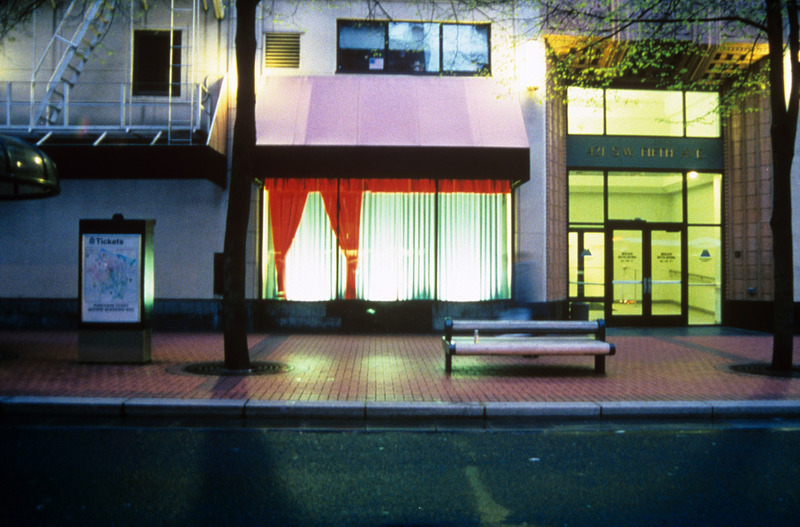 The Mead Building is a parole office located in a retail area on the bus mall in downtown Portland. 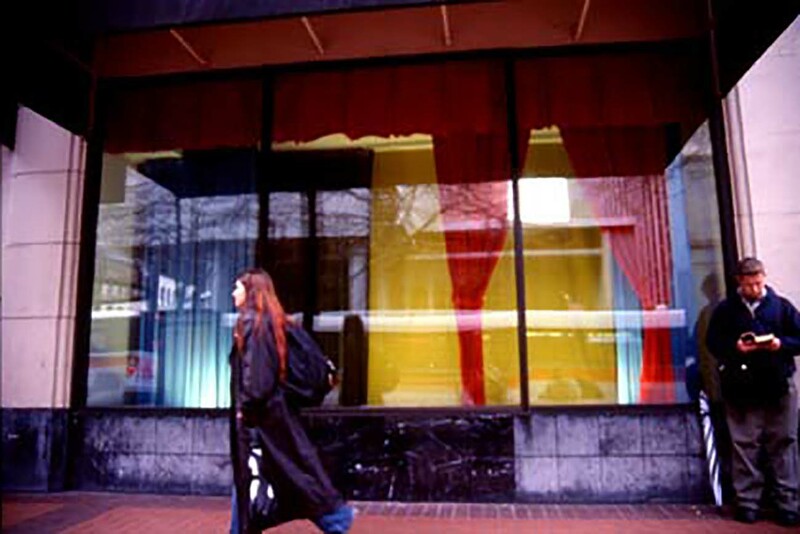 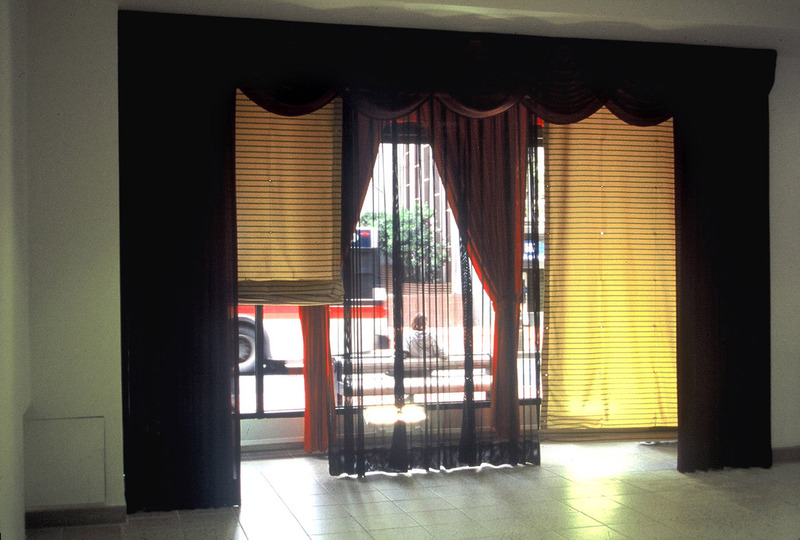 This project consists of 5 layers of motorized draperies displayed in a storefront window. 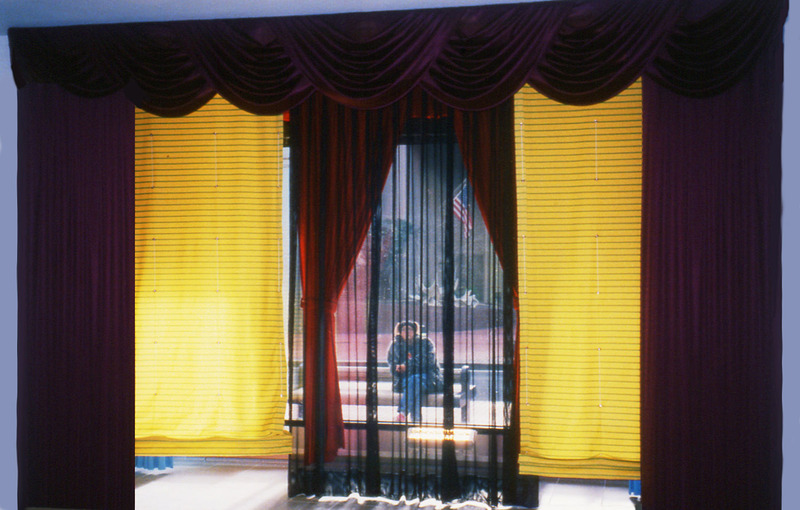 These moving curtains create different tableaus as they change and recombine. 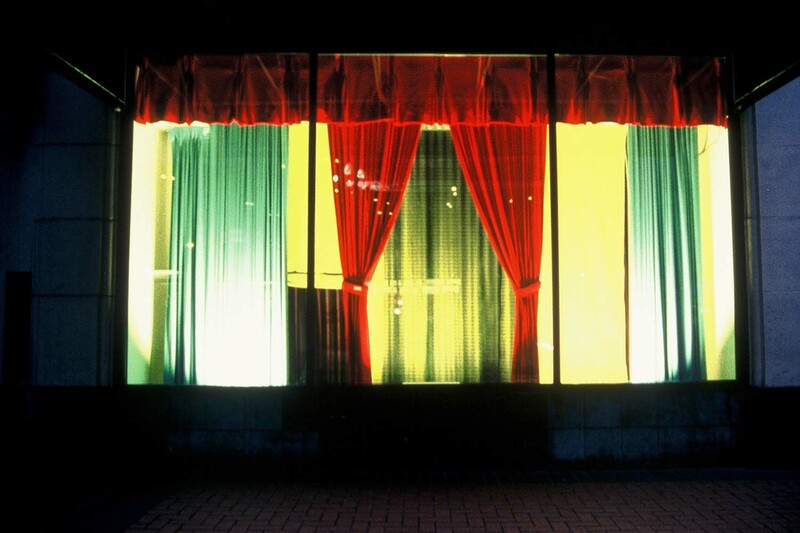 The piece addresses the street as a display that isn't selling anything, and from the inside an interior that doesn't stay in its place. 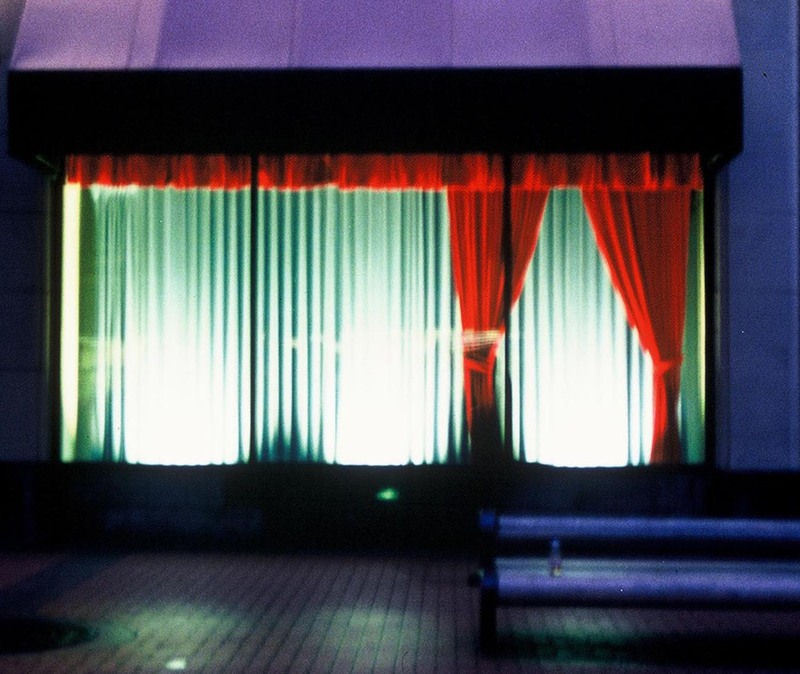 The idea of change is central to this work.